APIC has developed qualification courses to provide an excellent knowledge of the requirements laid down in ICH Q7. 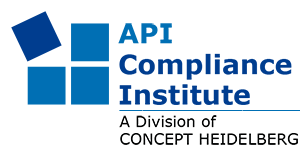 Choose between two 3-day GMP education courses according to your field of interest: ICH Q7 Compliance for APIs Manufactured by Chemical Synthesis or ICH Q7 Compliance for APIs Manufactured by Cell Culture/Fermentation. At which stage of production will GMP compliance be necessary and how can it be verified? How to comply with GMP hot topics like process validation, reprocessing/reworking, equipment qualification, failure investigation, etc.? Which Features are necessary; what is nice to have? Which procedures are available for regulatory submission of information on APIs and on post-approval changes to their manufacture? 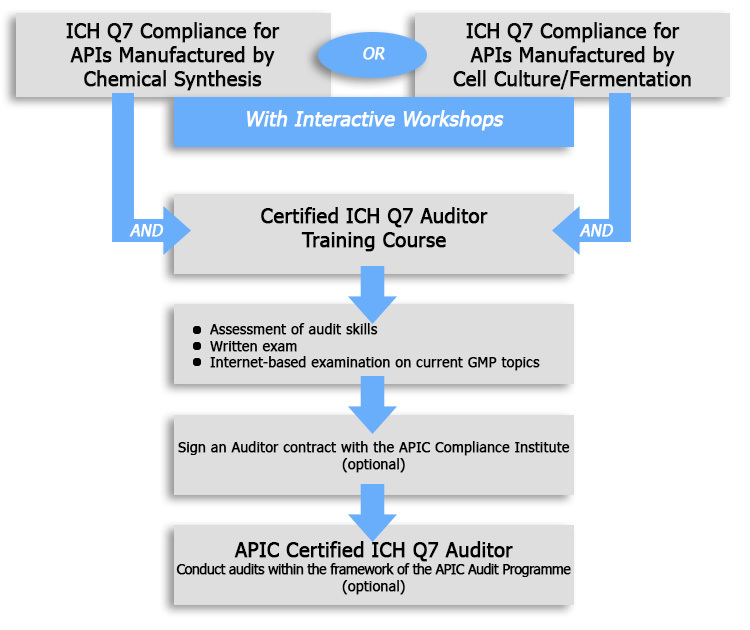 With this programme, you have the unique opportunity to combine your ICH Q7 Training Course on Chemical Synthesis or Cell Culture/ Fermentation with an ICH Q7 Auditor Training Course. This training course will inform you about the techniques and skills to be used during an Audit. The number of participants is strictly limited. About the "ICH Q7 Auditor Certification Scheme"
2. Having conducted at least 10 external audits in the last 3 years. At least 1 audit per year should have been related to APIs, Intermediates or Starting Materials with ICH Q7 as standard.